Johanna Haltia-Tapio is a specialist partner and heads the employment law practice at Hannes Snellman. She is a recognised expert in employment law, advising clients on all aspects of employment law. Ms Haltia-Tapio’s expertise encompasses both employment law-related issues in transactions, outsourcings and corporate restructurings, as well as manager contracts, termination agreements, redundancies and consultation procedures. She also advises clients in the harmonisation of employment-related benefits pensions, incentive programmes and personnel policies. Ms Haltia-Tapio graduated from the University of Helsinki in 1999 and joined Roschier Holmberg Attorneys Ltd the same year. 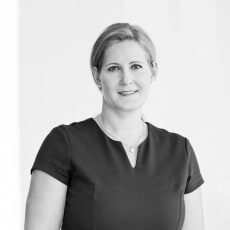 She joined Hannes Snellman in 2005, and was appointed specialist partner in 2018.